Winter style is something that I’ve come to rather enjoy, not something I ever thought I’d be saying because I’m absolutely married to my pretty midi dresses come summer but getting bundled up in layers and exploring different textures has become one of my favourite things to do. 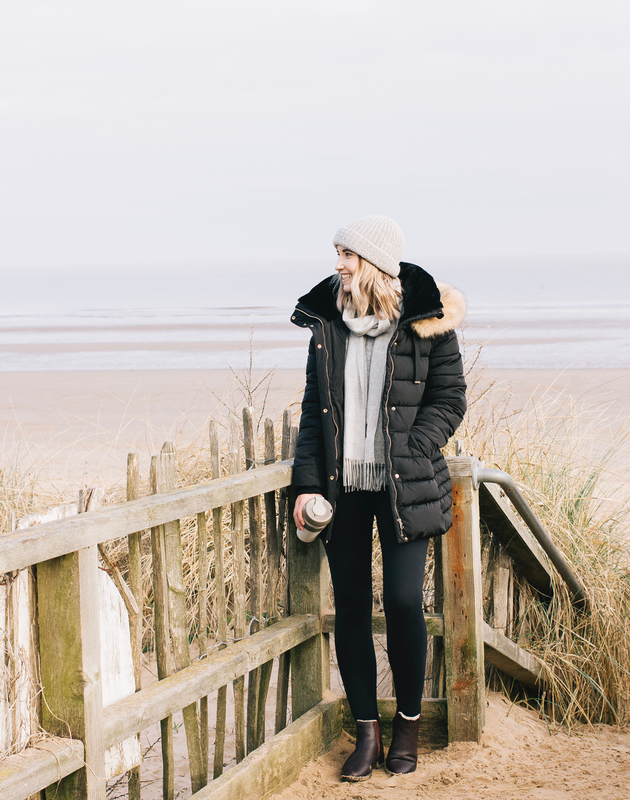 This January the weather has been a little unpredictable, often it’s been over 10 degrees and then we’ve seen lows of -3 so finding a happy balance has been a little tricky and then let's not forget the false sense of security that the winter sun gives you. And whilst I’m very much enjoying winter dressing this year I can’t deny that my enthusiasm starts to take a hit after a few too many weeks of feeling like the Michelin Man. So just incase you’re in need of a bit of inspiration of outfit ideas here is everything that I’ve loved wearing this month. At the end of 2018, I really fell in love with puffer jackets, I got the bug for them a couple of years ago but preferred the shorter style. Now I’m out in the cold a lot more than I once was I like to have something that can cover my bum and faux fur around the hood is an absolute must too. To be honest, because this coat comes from Zara I wasn’t sure if it would keep me amazingly warm unlike my other outerwear options from outdoor brands but it really does, sometimes I can be a little too warm if it’s not super cold. 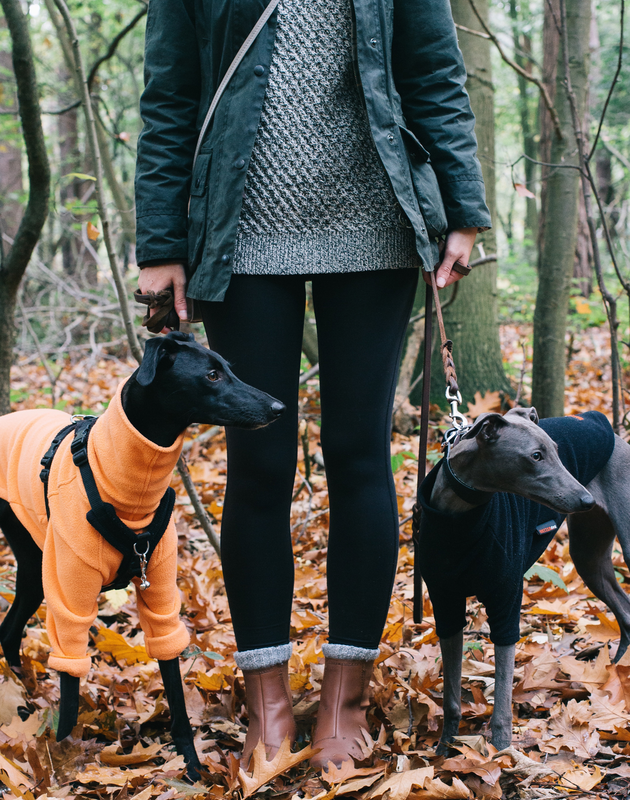 The sleeves have a double layer kind of thing going on which means nothing is getting in which is key when it comes to a winter coat as well as a high neck. And I can fully attest to the fact that it is water resistant, after being caught in the snow and rain far too many times this week I’ve not been left soggy at all. Zara is always a store that I don’t love to recommend as it’s so fast paced but I’ll keep this coat for years making it a sensible Christmas gift from my boyfriend. I recently collaborated with Joules over on my Instagram and this is one of the items that I was able to choose to share. 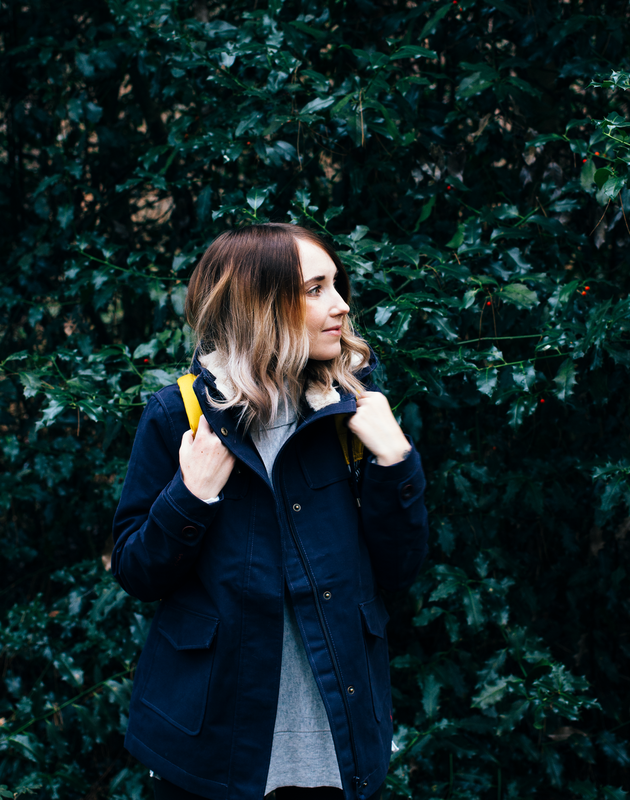 And if you caught my capsule wardrobe planning post then you will know that I was in the market for a raincoat in the style of this exact jacket so it was fate. 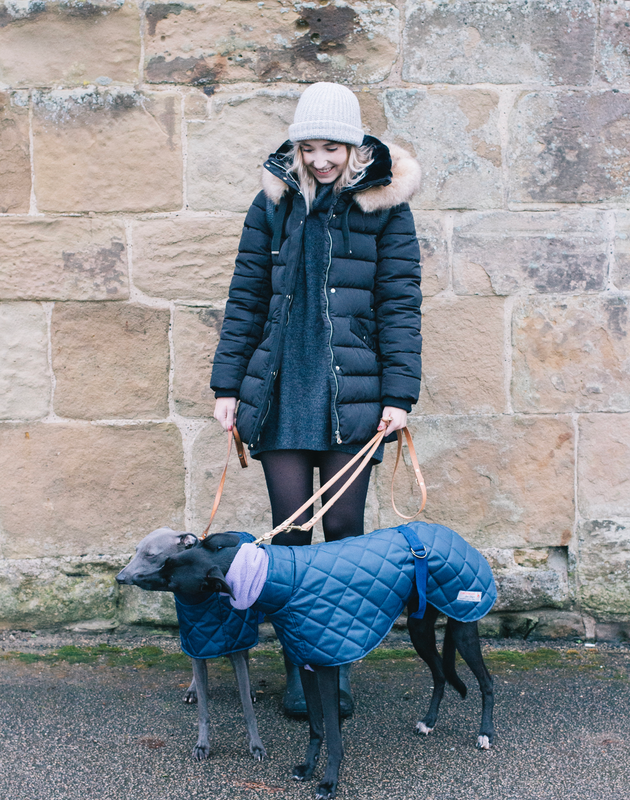 The lovely lining makes it suitable for milder winter days but come Spring this will be perfect for when it’s not quite warm enough to not take a coat but not so cold you need your parka. The classic navy with the cream and tan accents is something that I absolutely love with a Breton underneath (another favourite from the brand) it will look lovely in the warmer months but until now paired with a cosy knit it's ideal. My one and only sale buy was this scarf from Barbour (at £20 it was a real bargain), which are undoubtedly one of my most loved brands. This scarf very much reminds me of the Acne scarves that I absolutely adore but slightly smaller, I have a lot of huge oversized scarves so it’s nice to have something that’s a touch smaller that fits comfortably underneath coats. Whenever I’ve purchased anything from the brand I’ve never been disappointed and this scarf is something that I’ll keep for many, many years to come I imagine. The soft grey hue makes it the perfect addition for all the other muted tones in my wardrobe as well as my other outerwear. I’ve had these boots for a few months now so I feel like I can really give a good review on them as they were an investment piece for me and I hope to have them for many, many years as that was one of the biggest selling points for me. They’re a pair of boots that I can either wear to walk the dogs or go into town as they transition well between the two which is key for most things I purchase nowadays. When I first received them I was slightly concerned how narrow the ankle is but that stretches out pretty quickly with the right socks. I’ve never had issues with wearing them in and can wear them for hours without a single twinge which is rare to find and not something I was expecting. I think having the zip up the back of the boot rather than the side helps a lot with the comfort levels. So for me, absolutely worth the purchase as they're a beautiful pair of boots that have worn fantastically and do everything that I need them to. I’ve pretty much lived in this jumper ever since I received it a couple of weeks ago. It’s one of those lovely pieces that I can throw on no matter what I’m doing. Paired with boots or Converse it really has become a staple in my wardrobe. After working with UGG in 2017 on an A/W collaboration these boots have become my go-to for when the temperature drops really low. We’ve not had too much snow this year but even in a serious frost, they’ve been perfect. They're so comfortable and soft it's like wearing slippers! This jumper is perfect for my somewhat dressier occasions where I still want to be comfortable and warm but look a little smarter than usual. The combination of the burgundy and the blush pink isn’t something I expected to love so much but it really works. WHAT HAVE YOU BEEN YOUR FAVOURITE STYLE PIECES AS OF LATE?